So we ordered some air drying clay off t’internet (it’s heavy and I’d have struggled to carry it back from the art shop without a wheelbarrow). And we had a go at making some pinch pots! Pretty easy… and you don’t need any fancy tools either. So – you’ll need some clay – and to follow these instructions, to look as cool as me with your pinch pot! Leave to dry for a couple of hours before you add any decorative marks, to avoid cracking. Leave to dry thoroughly for a couple of days before you paint your pots, if you prefer, you can leave them naturally unpainted! Air Drying clay is not food safe or waterproof, however, applying a waterproof sealer or couple of coats of varnish will help it to be more waterproof. Fortunately cacti don’t need as much watering as other indoor pot plants, so a light misting or small drops of water shouldn’t penetrate the air dried clay pot. So let me know if you’ve ever made any of these yourselves? Tag me on twitter or instagram, I’d love to see what you’ve been up to with clay! WIN… a selection of fab prizes… read on! 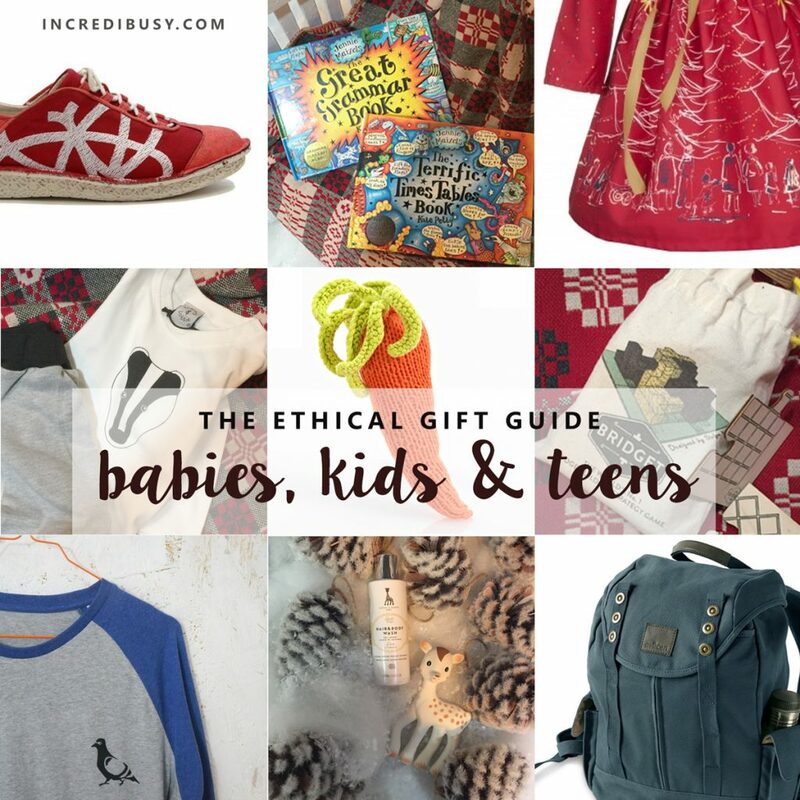 We’ve pulled together our top ten ethical Christmas gifts for the younger members of the family – watch me (Ali @incredibusy) talking about our favourite finds in the YouTube Space London HERE – we have chosen some gorgeous gifts for you, from newborn babies up to those difficult to buy for TEENS! The little brother of Sophie the Giraffe – if you’re familiar with Sophie la girafe, she’s been around for a long time; made in France from non-toxic natural rubber from the Hevea tree, and an adorable little squeek! Washable nappies are the gift that keep on giving. Buy a new parent a gift set and start them on their real nappy adventure. Or buy yourself something. Because you deserve it. 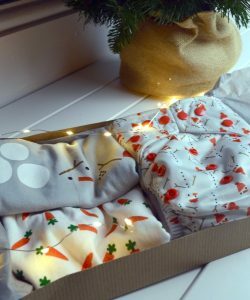 Really cute baby clothes – featuring animal illustrations – organic and made in the UK. 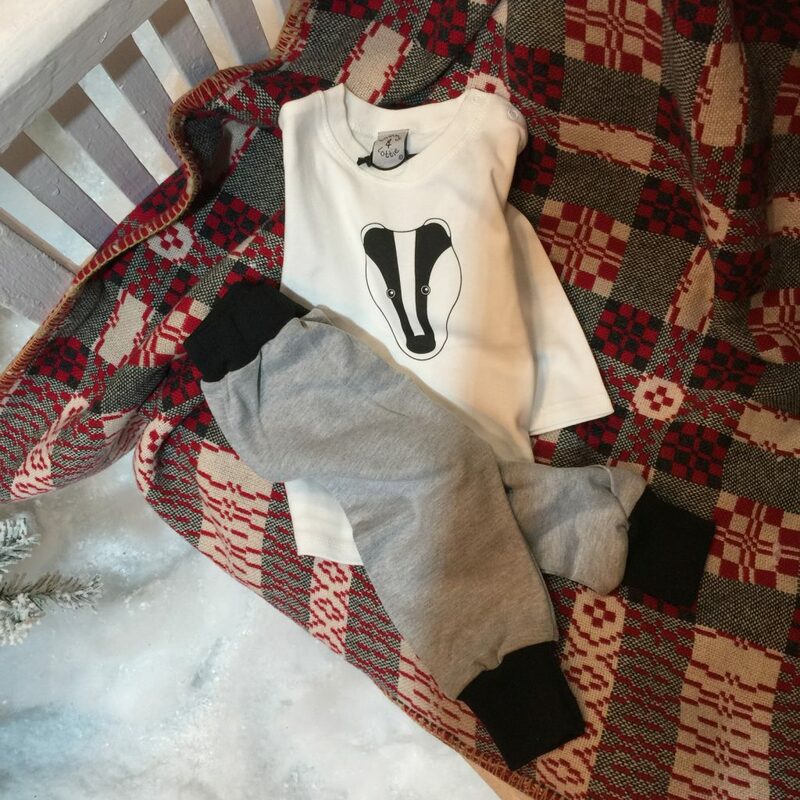 Fair Trade, organic Ts and matching hareem pants – chose from a selection of designs, like a fox with matching leggings so cute! Lovely detail on the back – and a badger, can’t miss out on the Badger! How sweet is that! Okay well what about a rattle?! Made in Bangladesh – beautifully crocheted and knitted, lots of different characters available. Made by Hathay Bunano artisans who receive sustainable, regular and flexible employment and a chance to give their own children a better life. An illustrator who are rather fond of – Great Grammar pop-up book – If you’re not familiar with Jennie you need to check her out on Instagram because her feed is just beautiful and we love her illustrations. Also The Terrific Times Tables Book. They make the most beautiful dresses… organic cotton twill and fairly traded, this one’s very Christmassy. This is a new style in the Palava collection for AW16. The full skirt still allows room for a magical tutu petticoat to be worn underneath for parties. A gorgeous patterned illustration along the hem of the dress and each frock comes with a free story book. Now we find it really hard to find organic fairtrade clothing for teenagers however, we’ve discovered a lovely brand called Lost Shapes and they produce these cool raglan sleeve baseball style tops. Hand illustrated stencils, and based in Wiltshire – my teenagers really like them! 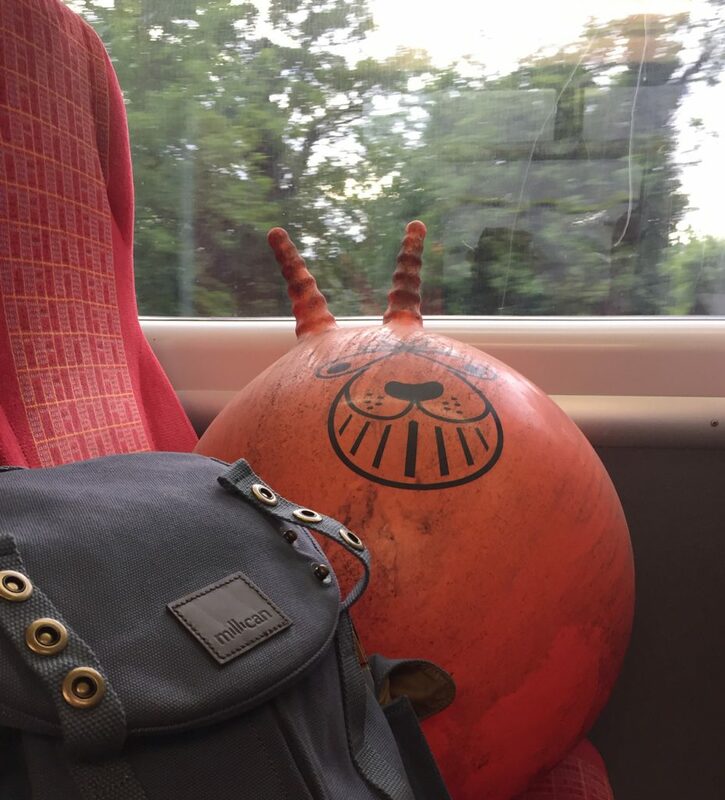 My teenagers were very envious of my Millican backpack, and actually offer to wear mine for me, so go and check them out and it’s got really nice padded shoulders, it’s organic cotton and the lining is made from recycled polyester and it’s waterproof and they’re great! 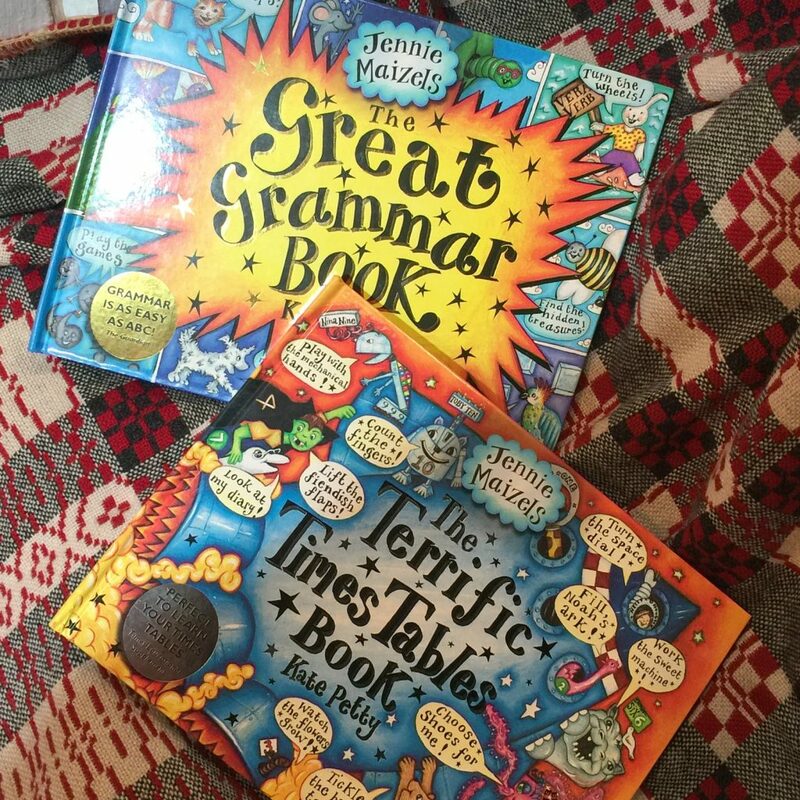 For a chance to WIN a pre-Christmas treat of some Sophie la girafe organic Shampoo & Body wash £11.99, a lovely organic cotton outfit from Tommy & Lottie £30.40 and one of Jennie Maizels amazing The Great Grammar books £14.99 – fill in the details below! 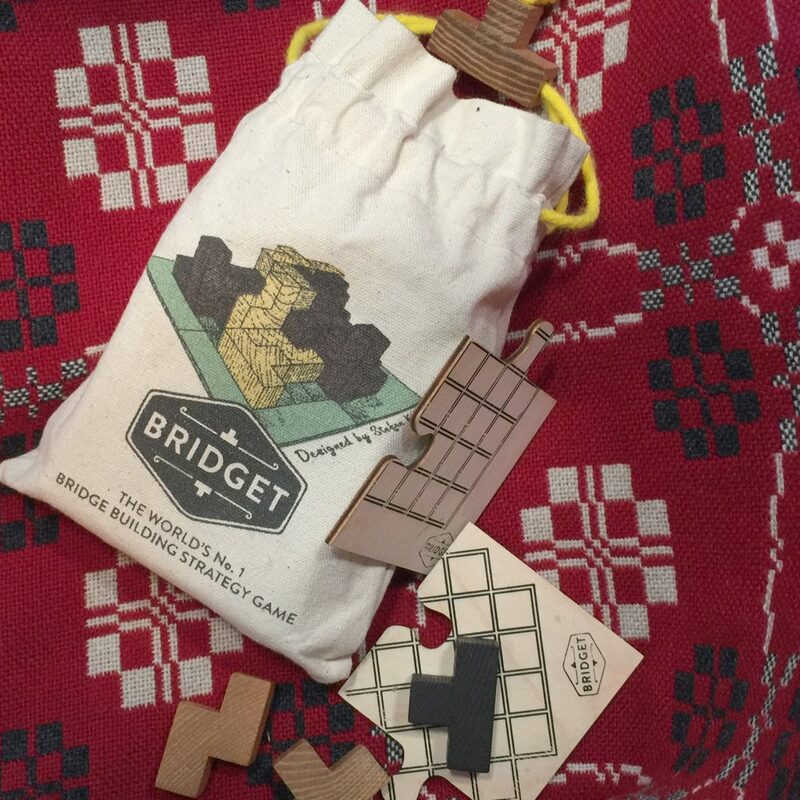 If you enjoyed this post, have a read of our Ethical Christmas Gift Guide for Grown Ups!